Creating Tracks is an online music resource and community with the sole aim to help you with creating tracks. We try and cover most popular Digital Audio Workstations in our tutorials, as well as other aspects of music production such as recording. Additionally we try to cover as many music genres as we can so that what ever type of music you are making, and how, you’ll find this community useful. 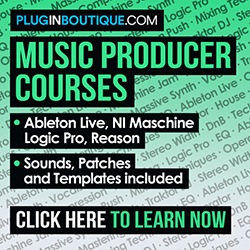 If you haven’t already sign up to our regular newsletter which features all the latest articles and tutorials we post up on creating tracks. We’re always on the look out for article submissions, product reviews, link ups with other communities and any feedback you may have. Please get in touch if you’d like to know more about any of the tutorials, reviews or the videos.